An Intensive 2-Day Workshop on: Treating Anxiety Disorders in Children & Adolescents is organized by PESI HealthCare and will be held from Apr 25 - 26, 2019 at Hilton Anchorage, Anchorage, Alaska, United States of America. This CME Conference has been approved for a maximum of 12.5 credits. Target Audience: • Social Workers • Psychologists • Counselors • Teachers • School Administrators • Occupational Therapists • Speech-Language Pathologists • Marriage and Family Therapists • Other Helping Professionals who Work with Children Course Description: Divorce, family breakdown, violence in society and the media, has produced a “shell shocked” generation of kids suffering from anxiety! Join Carryl P. Navalta, Ph.D., who will demonstrate how you can “connect” with anxious children and inspire them to practice new self-regulation skills. You will learn how to help parents (“bulldozers”, “helicopters” and “snowplows”) and schools gain confidence, gratification and success in helping their most anxious kids. To increase your effectiveness with the various manifestations of child anxiety, Dr. Navalta will address each of the following disorders with case examples and clinical vignettes: • Separation Anxiety Disorder • Panic Disorder • Generalized Anxiety Disorder • Obsessive-compulsive disorders (including skin picking and hair pulling) • Social Anxiety Disorder/Selective Mutism • Specific phobias • Trauma- and Stressor-related disorder Emphasis will be on creative psychotherapy involving insight-oriented, cognitive-behavioral, biological, mindfulness, and family systems interventions. Objectives: • Incorporate motivational therapeutic activities into your practice to improve client engagement in treatment. • Implement structured clinical interviewing strategies to aid in developing comprehensive treatment plans. • Summarize the “3 ingredient framework” of how anxiety develops in children to assist with assessment and treatment planning. • Analyze the efficacy of prescription drugs as compared to complementary medicine for treatment of anxiety symptoms in children. • Implement a three-step skill building model for stress management among young clients. • Evaluate exposure therapy interventions for effective treatment of OCD, separation anxiety, social anxiety and phobias. • Design effective strategies to decrease the stress response in kids with learning disabilities to improve information processing, listening skills, and comprehension. • Implement calming techniques to reduce overall anxiety, such as mindfulness and yoga, to reduce fight or flight response and simultaneously engage the relaxation response. • Evaluate the impact deep breathing exercises have on anxiety to enable task completion in children with ADHD. • Utilize specific anxiety techniques to minimize the ruminative nature of obsessive thoughts that often precede dysfunctional compulsive behaviors. • Teach clients to engage the parasympathetic nervous system to create new neuropathways to reduce hyper arousal and decrease maladaptive behaviors. • Implement clinical strategies to decrease symptoms of pervasive separation anxiety in children and adolescents. Additional details will be posted as soon as they are available. The Similarities Between Quality Marriages and Quality Long Lasting Dentistry and Improving Your Effectiveness as a Dental Professional is organized by Ultradent Products, Inc. and will be held on Apr 26, 2019 at Anchorage, Alaska, United States of America. This CE Conference has been approved for a maximum of 8 CE Hours. Course Objectives: • The importance direct veneers and esthetic composite restorations play in the reconstruction of teeth • When posts should be used and when indirect dentistry is best for the patient • Advancements in today's bonding and adhesive technologies • How to achieve profound hemostasis and maintain control throughout your procedures • The two different types of tooth staining and possible causes of each • How whitening products work • The safety and effectiveness of whitening agents • Possible contraindications for whitening Additional details will be posted as soon as they are available. UW PTC - 1 Day Clinical STD Update For Clinicians is organized by National Network of STD Clinical Prevention Training Centers (NNPTC) and will be held on May 10, 2019 at Anchorage, Alaska, United States of America. This CME Conference has been approved for a maximum of 6.4 Credit Hours. Course Description : The Boise Clinical STD Update in Boise, Idaho is a 1-day didactic course which provides registered participants with training in the most recent advancements in epidemiology, diagnosis, and management of viral and bacterial STDs. Although focusing on STDs in Idaho, clinicians from any state are welcome to attend. CME/CNE is offered for this class. Enrollment in an optional Clinical Practicum is available for participants who attend this Clinical STD Update (must register separately). Topics Include : Update on Gonorrhea Update on Chlamydia Transgender Sexual Health Syphilis: Overview and Update Update on Hepatitis C HIV-1 Pre-Exposure Prophylaxis Course Objectives : • Describe the latest clinical and lab diagnostic and testing procedures for the infections covered • List the current recommended treatments, follow-up, and prevention messages for the infections covered Additional details will be posted as soon as they are available. Internal Medicine for Primary Care: Allery & Immuno/Geri/Nephro/Ortho is organized by Medical Education Resources (MER) and will be held from Jun 30 - Jul 03, 2019 at Alyeska Resort, Anchorage, Alaska, United States of America. This CME Conference has been approved for a maximum of 16 Credit Hours. Additional details will be posted as soon as they are available. Urgent Care Summit 4-Day CME Conference 2019 is organized by Emergency Medicine Institute (EMI) and will be held from Jul 08 - 11, 2019 at The Lakefront Anchorage, Anchorage, Alaska, United States of America. 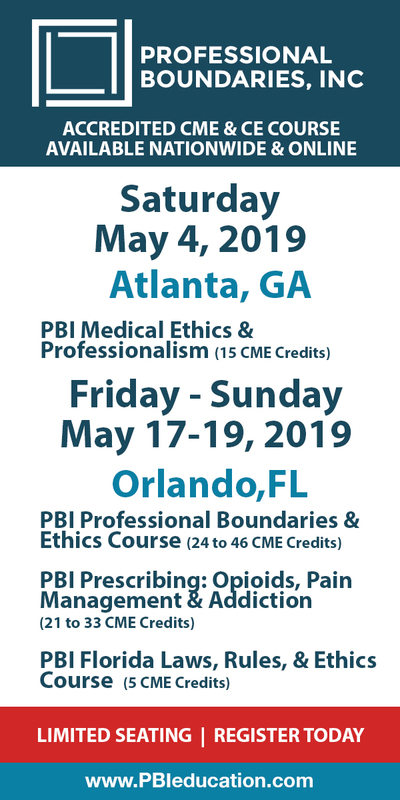 CME4Life and the Emergency Medicine Institute has partnered to ignite your passion in learning and measurably increase your confidence and competence. This course is designed for PAs, NPs and primary care physicians working in the ED. Come join us for a unique and one of a kind conference experience! Learn clinical application of patient assessment, lab medicine, EKG and radiology. Also, we teach you how to stay out of trouble medical legally. This activity is being applied to be worth 20 hours of CME Credit. John Bielinski, Jr, MS, PAC is hailed as one of the greatest presenters in the country. With his unique active style and easy to follow the presentation, attendees have reported learning more in one day from him than an entire year in the classroom! He earned a master’s degree in family and emergency medicine and is a national lecturer on emergency medicine and extraordinary patient care. His experience not only includes years of hospitalist/intensive care coverage, but he has also run a rural emergency department for nine years autonomously, having cared for hundreds of cardiac arrest and critically ill patients. John has lectured for over 10 years teaching PA students at two PA schools in Buffalo, NY, as well as instruction of paramedics/ nurses on advanced cardiac life support. • Laboratory Medicine & Clinical Application • Pulmonary Medicine & CXR Interpretation • Chest Pain & EKG/ECG Interpretation • Common Emergency Medicine Complaints To learn more about him and his "active engagement" learning style, check out his podcast Talk EM or his YouTube channel. John has been the keynote speaker at numerous state and national conference as well as in Canada and on National Geographic. Learning Objectives: Day 1 Addiction • Understand the psychological and disconnect addiction patients have with their disorder and provide the care they need in EM • Be able to understand the presentation of patients with alcohol abuse to diagnosis Korsakoff’s syndrome and differentiate it from Wernicke’s Enchelopathy. Dyspnea • Understand and be able to diagnosis the 5 most important diseases associated with dyspnea and why they should not be missed. • Be able to recognize the presentation of CHF for early identification and make treatment recommendation based on current AHA/ACC guidelines to improve patient outcome. • Identify and treat asthma based on current guidelines from the Global Initiative in Asthma • To have a better understanding on the presentation of pulmonary embolism for improved diagnoses and to implement treatment strategies based current guidelines. Ophthalmologic Disorders • To explain the approach to evaluate ophthalmologic complaints • Identify the two key components of a deep eye problem requiring consultation • Provide tools of visual acuity in a patient who does not have their prescribed glasses/contacts ENT in Urgent Care • To appropriately diagnose and treat otitis media based on clinical presentation and physical exam findings with updated antibiotic recommendations based on current guidelines • Be apply Centor’s Criteria to assist you in the diagnosis of Strep pharyngitis • Understand the current guidelines for treatment of sinusitis Day 2 Cardiac Care • To define an approach to chest pain based on current AHA/ACC guidelines • To apply the HEART score for low risk chest pain • To identify infectious causes of chest pain based on clinical presentation and evaluation. Acute Abdominal Pain • To apply a systematic approach to a patient with acute ABD pain based on AFP guidelines • Apply the AAN and AHS updated guideline for the treatment of acute migraine • To explain a clinical approach to OB/GYN complaints Day 3 Wound Care • To diagnosis wound care complaints and apply the National Wound Management Guidelines • To organize a clinical approach to ED infectious diseases Typical Ortho Complaints • To diagnosis common orthopedic injuries based on H&P and initiate therapeutics • Use both the Ottawa Knee and Ankle Rules as an assessment tool to help your evaluation and work up on knee and ankle injuries Learn common rashes • To assess common rashes in the ED to make appropriate diagnosis and initiate treatment Day 4 Medical Error • Review the Medication Error Prevention in Hospitals Guidelines (2018) Effective Communications • To provide pearls of effective communication to improve patient compliance • To develop a strategy to reduce medical errors Medical Malpractice • To guide in malpractice defense and optimal documentation based on case presentations. Let's Talk Eating Disorder: Identifying, Diagnosing & Exploring Treatment Options Symposium is organized by Eating Recovery Center (ERC) and will be held on Jul 11, 2019 at O'Malley's On the Green, Anchorage, Alaska, United States of America.This CE Conference has been approved for a maximum of 4 credit hours. Description: This presentation reviews the etiology and epidemiology of eating disorders as well as the different types of eating disorders and common medical complications associated with them. This presentation will also review how the medical provider can screen for eating disorders and the workup that should be done. Finally, the presentation will review the levels of care for the treatment of eating disorders and how to identify which level of care the patient needs. Educational Objectives: • Discuss the epidemiology and etiology as well as typical clinical presentation of eating disorders. • Review and be able to diagnose eating disorders using the DSM 5 criteria. • Discuss referral options and additional resources for this patient population. • Define eating disorders, looking at diagnoses and common comorbidities. • Identify the biopsychosocial factors that play into the development of an eating disorder. • Differentiate what treatment is available and when to refer a patient to a higher level of care for treatment. • Understand the theoretical model and supporting research base of exposure and response prevention, and how exposure-based interventions can be applied to Binge Eating Disorder. • Learn how to incorporate client-driven values, client willingness and treatment plan goals appropriately plan and pace exposures over the course of treatment. • Learn how to assist clients in generalizing gains made from exposure work to their lives. Topics in Emergency Medicine is organized by Northwest Seminars and will be held from Aug 19 - 23, 2019 at The Lakefront Anchorage, Anchorage, Alaska, United States of America. 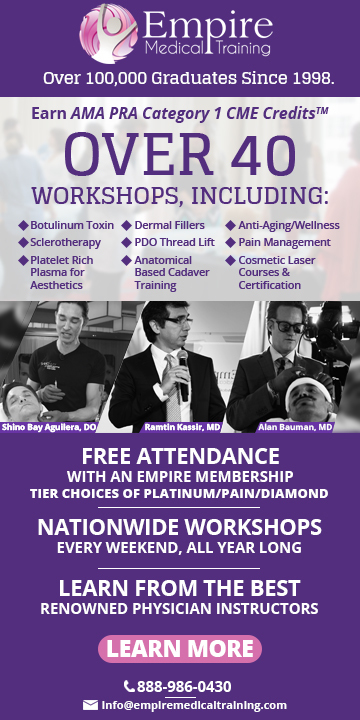 The target audience for this medical event is physicians, physician assistants, nurse practitioners, registered nurses, and all other medical care providers who must maintain state-of-the-art knowledge of the specialty or are impacted by it. This CME Conference has been approved for a maximum of 20.00 AMA PRA Category 1 Credits. Course Description: The practitioner of emergency medicine must possess an evidence-based scientific background for competent clinical practice; maintain state-of-the-art knowledge of the specialty and all additional related disciplines; maintain an up-to-the-minute armamentarium of knowledge and skills for the selection and use of complex equipment, pharmacological agents, and procedures; manage self and colleagues to function toward common goals in providing consistent care in all settings in which emergency care is provided; serve as an expert in matters involving quality, safe and equitable health care delivery and support of other service providers, departments, institutions, and organizations dependent upon professional expertise. Presentations are designed to facilitate the acquisition of cognitive and technical skills as defined through evidenced-based data translated to best practice standards by the pertinent governmental and professional organizations including the American College of Emergency Physicians, American College of Surgeons and the Emergency Nurses Association and abilities in one or more of the disciplines vital to the practicing professional. Learning Objectives: At the conclusion of this activity, the participant will be able to: • Apply the pertinent physical and behavioral sciences as they impact and are affected by the planning, delivery, and monitoring of services inherent in the professions • Explain the selection, dosing considerations with methods of administration, safe use, contraindications and precautions of drugs based on their chemical and pharmacologic properties • Outline comprehensive patient management plans for the special patient population discussed • Apply the principles of safety and asepsis in the performance of all aspects of patient care regardless of the clinical environment in which the practice resides • Incorporate the published tenets of pertinent, recognized external organizations, institutions, and professional groups defining medical, legal, philosophical, ethical, and healthcare management standards. Additional details will be posted as soon as they are available. Alaska Nurse Practitioner Association 2019 Annual Conference is organized by Alaska Nurse Practitioner Association (ANPA) and will be held from Sep 19 - 21, 2019 at Hilton Anchorage, Anchorage, Alaska, United States of America. Additional details will be posted as soon as they are available. 12-Night Russian Far East Expedition CME Cruise is organized by Sea Courses Inc and will be held from Aug 09 - 22, 2020 at Silver Explorer, Anchorage, Alaska, United States of America. The target audience for this medical event is family physicians, specialists, and allied health care professionals. Course Description : The aim is to provide evidence-based material, as well as practical and relevant clinical pearls that will be easy to implement into one’s own medical practice. Conference attendees will be invited to complete a pre-course Needs Assessment to assist the faculty with the development of their presentations. Additional details will be posted as soon as they are available.